Are Long-Haul Truckers Really Such Good Drivers? The explanation is that big rig drivers who lose control of their rigs in high winds – when trucks behave more like sails than vehicles – may find themselves facing a boss who wants to take the loss out of the trucker’s next check. Or worse, the trucker gets a ticket and a fine, which together prompt his employer to let him go. If nothing else, failure to document time in 15-minute intervals can lead to a violation and a whooping fine. Besides being regimented when it comes to time, truck driving is also very solitary. On the road for at least three weeks at a time, spending 20 out of every 24 hours by himself (or herself), the average truck driver does not have a wife or children. Divorce is frequent. Even where it isn’t, long-haul truckers often become alienated from family and friends, who have their own lives and can’t imagine yours. This is also true for police officers, who experience a similar level of alienation. Both groups – and emergency room doctors – also suffer from the kind of fatigue that can contribute to accidents. The issue of truck driver safety is a sticky one. For many drivers, safety becomes a way of life simply because long-haul truck drivers don’t want to lose their jobs, which pay very well and are fairly easy to find – after all, how many people do you know that would willingly live on the road, sleep and shower in the cab of their semi, and brave some of the worst storms a human has ever seen? For example, Interstate 80 crosses the Wind River Range, a precipitous drop to sea level, which in winter welcomes travelers with gale force winds, blowing snow and black ice hidden just around the next curve. Typically, about three times per winter, the snow is so deep that even 18-wheelers will pull off the road and wait for conditions to improve. If you were driving a compact car, or a lightweight truck like a Ford Ranger, you would do well to follow the example of these truckers. Because, at least three times in a typical season, snow-related accidents involving eight or 10 cars, and one or two large trucks, are proof that Mother Nature has a dark side. And the fact that drivers invariably cut in front of truckers at the worst possible moment, forcing the trucker to gear down or turn into the “runaway truck lane”, is a perfect example of an attitude that one trucker describes as “a nuisance” (an attitude that prevails until a driver is one day forced to ask for directions, a lift to the nearest phone, or some other kind of help from a trucker). Everyone knows that semis have blind spots. If you can’t see the truck driver’s side mirrors, it is a very safe bet that the driver can’t see you. This blind spot accounts for 33 percent of accidents between large trucks and cars. 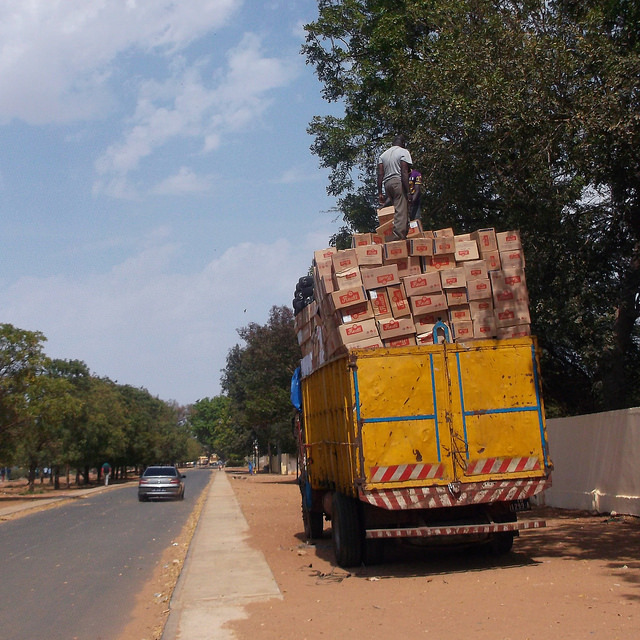 Loaded trucks, which weight at least 35,000 pounds, also take more than a quarter mile to stop. And almost everyone has seen a semi make a wide left before turning right, because of the smaller radius of the rear wheels. In spite of that, at least one driver will attempt to pass on the right. 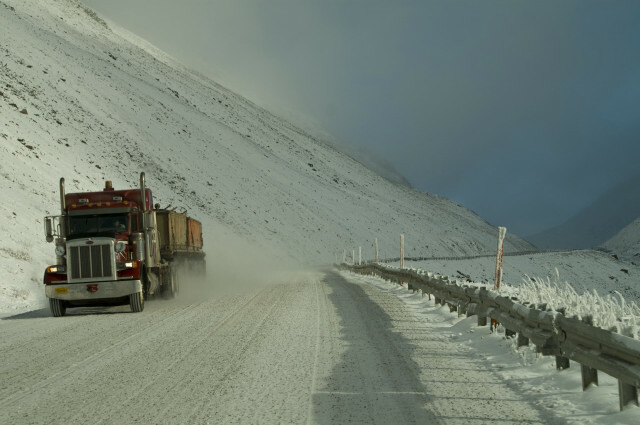 ·	Driving in areas where the truck driver has little or no visibility. ·	Changing lanes quickly in front of trucks. 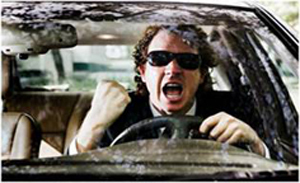 ·	Making left turns in front of oncoming trucks in intersections, often due to misjudgment in speed. 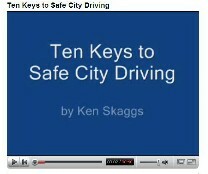 ·	Merging onto a freeway in front of a truck, forcing it to brake too hard or maneuver improperly. 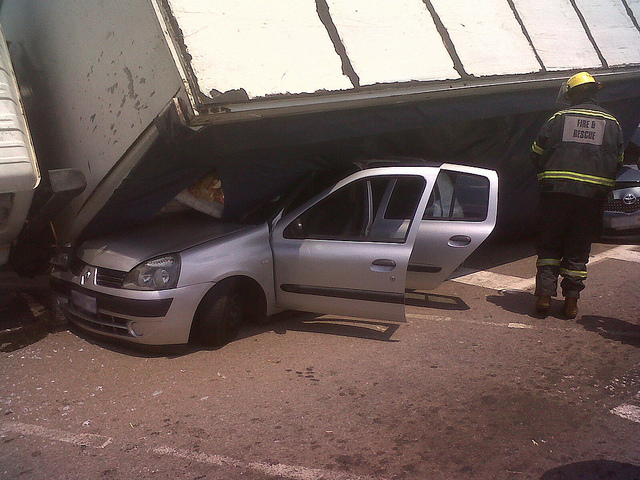 ·	Failing to change speed correctly when a truck merges or changes lanes. ·	Unsafe or incorrect passing. 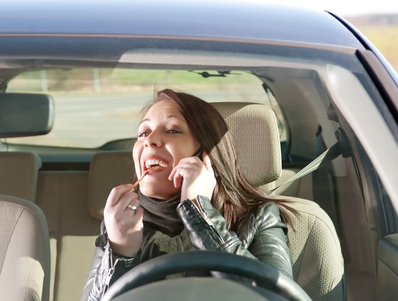 As a truck driver have you had close encounters with passenger cars swerving in front of you? Have you driven through Interstate 80 or a similarly treacherous road? Share your stories with us. Feedback and comments much welcomed.